STRAW sensitized some 550 students (classes I to class V) of the Army Public School at NOIDA (Uttar Pradesh), during the last week of July 2018. The students were taught to be kind to animals, compassionate to people and to respect the environment. 2) Feeding animals at least sometimes, if not daily. 3) Not throwing stones at them or pulling their tail. 4) Disposing off materials like glass, all-pins, staple pins, sharp items, etc. responsibly so that it does not hurt animals and people alike. The programs were conducted by Yogita Gupta, who passionately loves animals and would go out of her way to do anything for them in case they are in trouble. 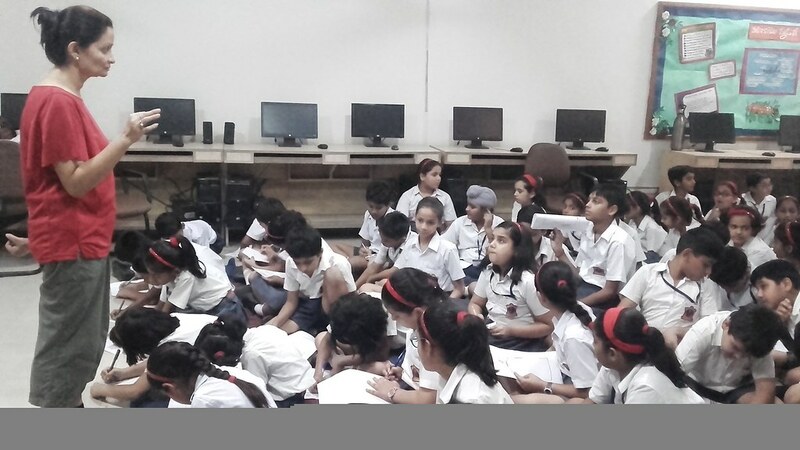 STRAW will be conducting more sessions for the students of Army Public School, periodically.